oh lord I'm completely unprepared for the cold! I've been busy squeezing in the last of my summer outfits, you might have seen that I've been away in marbella on holiday (the perfect opportunity to drag out my summer wardrobe) but I'm still looking forward to the transition to knits and cosy coats! I haven't been all that tempted by the kimono trend this year but I finally found the one that made me change my mind.. hurrah! I loved the colour and pattern of this one from choies and I'm glad I opted for something different as I loved it on arrival, it's so damn pretty and swishy (yep definitely a word) it's made me a fully fledged kimono convert! well I'm off to unpack my suitcase, bye bye bikinis hello 100 denier tights. 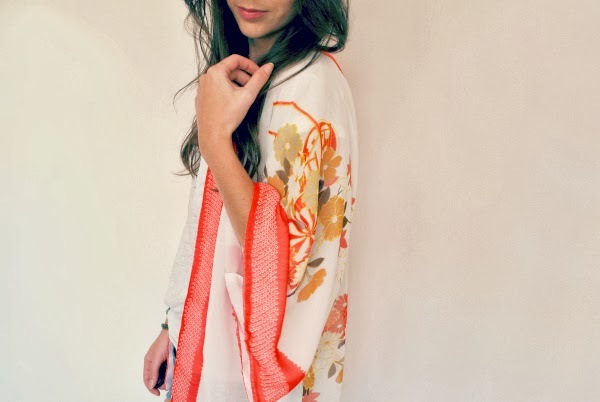 That kimono is gorgeous, such pretty colours and very summery. I'm desperate to find a hat like the one you're wearing but they're all made of wool which I'm allergic to, and I don't fancy an itchy head the whole time I'm wearing it! The kimono is such a gorgeous piece. I think it goes so well with the shoes as well. Those little shoes are to cute! Love this look! Your outfit looks gorgeous :) your kimono looks like a scarf I just bought from White Stuff! Love this outfit! 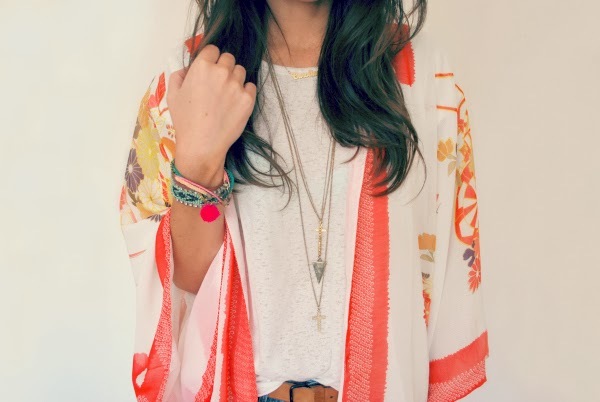 The kimono is just amazing!